For each ''My Pretty Playhouse'' sold, Cascades will donate $2 to Habitat for Humanity. Have you heard about My Pretty Playhouse? Cascades recently launched a new children’s playhouse made of 100 percent recycled cardboard. On top of providing hours of entertainment to the young “new owners,” the project will indirectly benefit others: from October 2012 to December 2013, for each playhouse sold, Cascades will donate $2 to Habitat for Humanity. 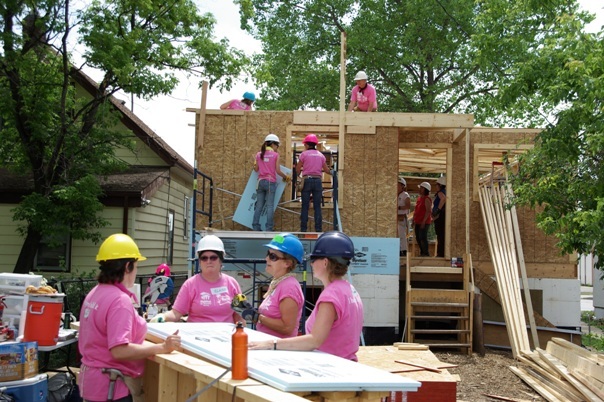 Habitat for Humanity builds houses in partnership with families in need, with the mission of making safe and decent housing affordable for everyone around the world. Secure shelter is a basic need that nobody should have to struggle to meet. 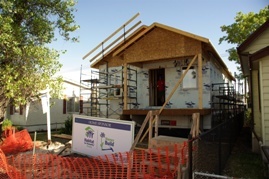 Like Habitat, Cascades also wants to make a difference in the daily lives of low-income families. Cascades has pledged to donate $50,000 to Habitat for Humanity. This decision follows in Cascades’ tradition of over 45 years of community involvement in the neighbourhoods where the company has set up shop. 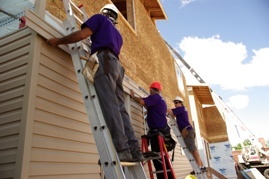 We will not sit idle: A team of Cascaders is preparing for a day of volunteering at the construction site of a new Habitat for Humanity home. My Pretty Playhouse is part of the line of children’s playhouses available at Boutique Cascades. The advantage of this playhouse is its small size and affordable price. It fits nicely into smaller areas such as apartments, condos and daycares. 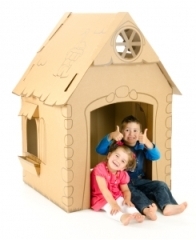 Designed for children 3 and up, the playhouse is safe and easy to assemble, and can be recycled when no longer needed. This customizable playhouse will instantly be a favourite with the little ones, providing hours of entertainment and a place to draw and use their imaginations. What a great way to stimulate children’s creativity and give mom a break! Since Sept. 17, 2012, the playhouse is available online at Boutique Cascades, which offers over 30 eco-friendly products made from recycled fibres. For free delivery and to find out more about the playhouse, visit us at boutique.cascades.com.